The eleven disciples went to Galilee, to the mountain to which Jesus had directed them. When they saw him they worshipped him; but some doubted. 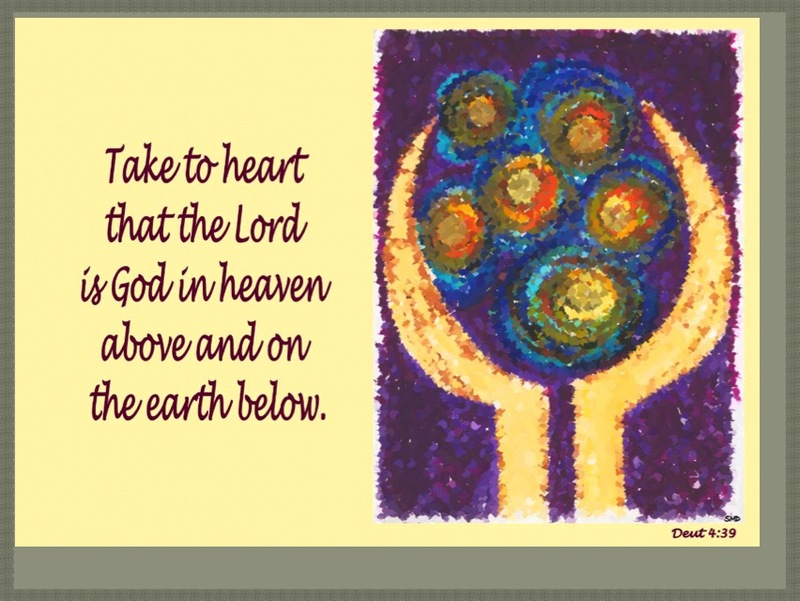 ‘All authority in heaven and on earth has been given to me. 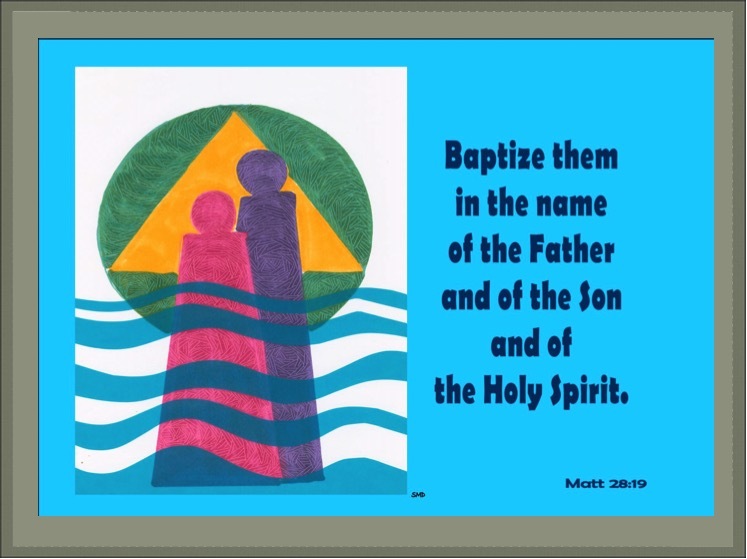 Go therefore and make disciples of all nations, baptizing them in the name of the Father and of the Son and of the Holy Spirit, and teaching them to obey everything that I have commanded you. In first testament times, the Israelites sometimes worshipped false gods. Moses is urging the people to recognise that there is only one God, the one who rescued them from slavery in Egypt. To believe in one God was quite unique in the ancient world and it was a struggle for the prophets to rid the people of their old habits of worshipping false gods in the way that the other countries did. The prophets had to remind them there is only one God.Then along comes Jesus who makes the matter complicated. In the light of the resurrection the disciples came to see he was divine especially by the way he forgave sins. The early church called him Lord, believing that in some way he was part of the Godhead. Later on the Holy Spirit was seen also as part of the Godhead. The Greek fathers of the early centuries struggled to find words to express their belief in one God and yet say that Jesus and the Holy Spirit were divine. There is a one-ness – belief that God is one and undivided. 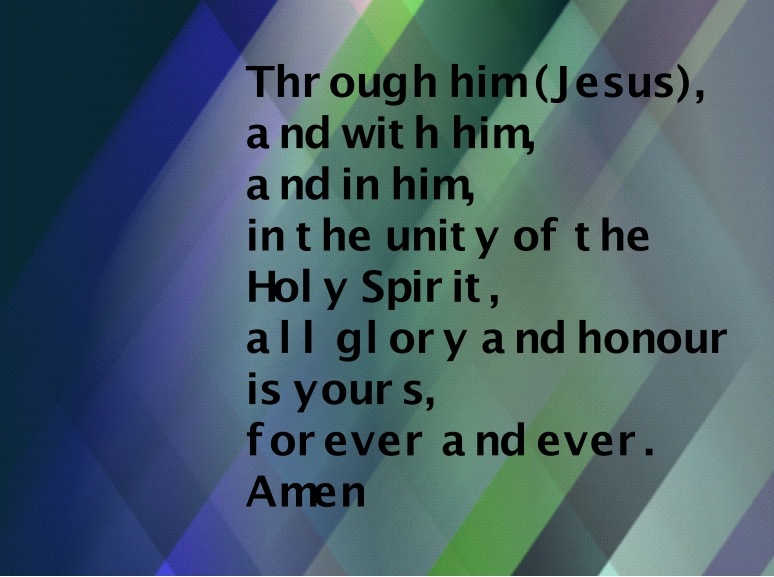 Yet there is a three-ness: Father, Son and Holy Spirit. Their problem was what to call these three without falling into the error of a belief in three gods. They found an answer in Greek plays. When the Greeks put on plays in their amphitheatres, the actors held masks over their faces to indicate clearly what role they were playing: king, queen, soldier . . . The mask was called a ‘persona’. So the Greek fathers of the second, third centuries came up with the idea that within the one God there are three ‘personas’. This resolved the issue of maintaining monotheism, that is, there is only one God, but that one God has three different ‘faces’: Father, Son, Holy Spirit. 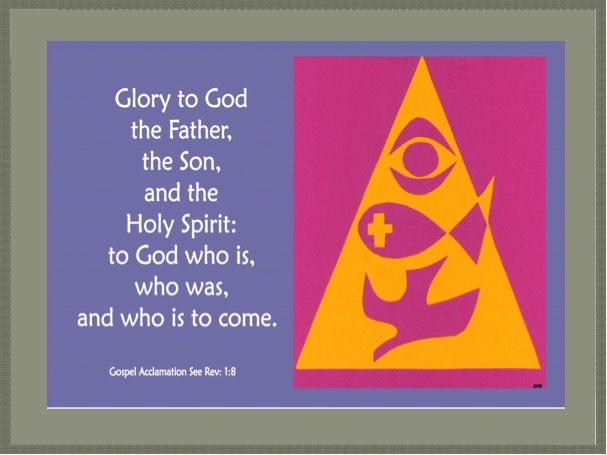 This became known as the doctrine of the Trinity. We have a problem today when we use the word ‘person’ to translate ‘persona’. In our day the word person means one individual, separate from other individuals. To say three persons in one God suggests there are three individuals, three people, which is false. This would give rise to a mathematical problem. 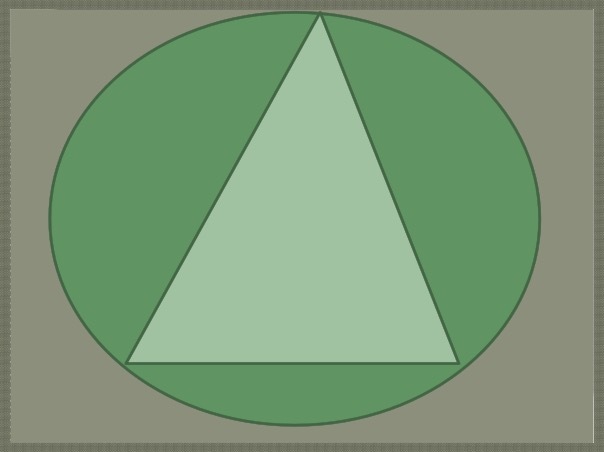 In art a circle is used to symbolize the one God and a triangle to indicate the three personas. What I have said is very simplistic but I hope this is helpful for educated lay people. In the time of Paul the doctrine of the Trinity was still centuries in the future but he often brings together Father, Son and Holy Spirit as in the second reading. The word ‘Abba’ means daddy, a very affectionate term, and today in Israel you can still hear children use that word. We find it a bit childish and avoid it. Perhaps we should try it sometimes. In our prayers we pray to the Father through the Son with the Holy Spirit. This is a beautiful summary of the doctrine of the Trinity. Every Eucharist gives praise to the Father, Son and Holy Spirit, so there is a close link between our baptism and our participation in the mass. We must remember that no matter what we say, the Trinity is a mystery and will remain a mystery because the human mind can never exhaust its wealth of meaning.